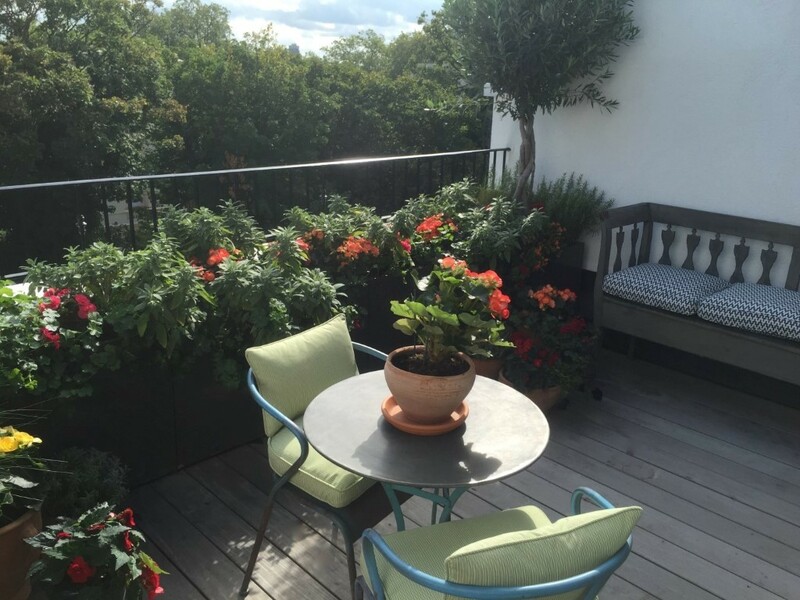 Small eclectic and bohemian roof terrace with stunning views and hot planting scheme. 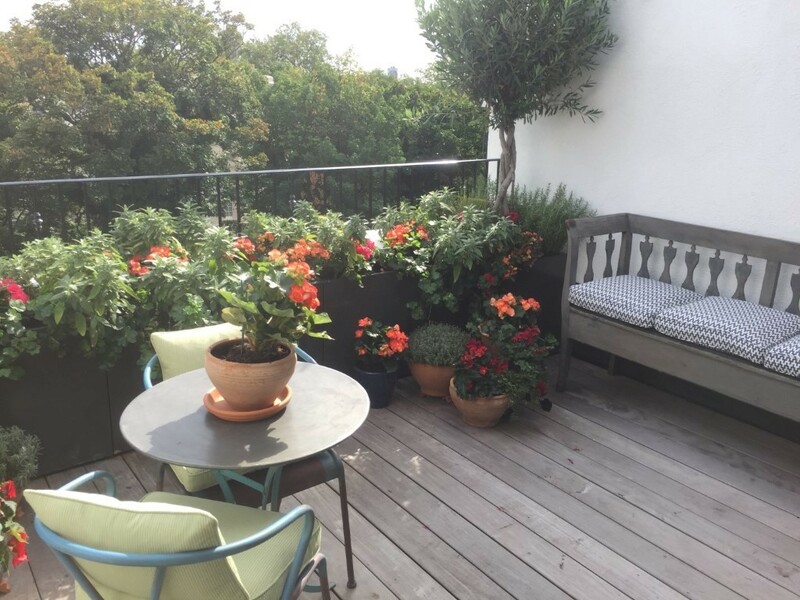 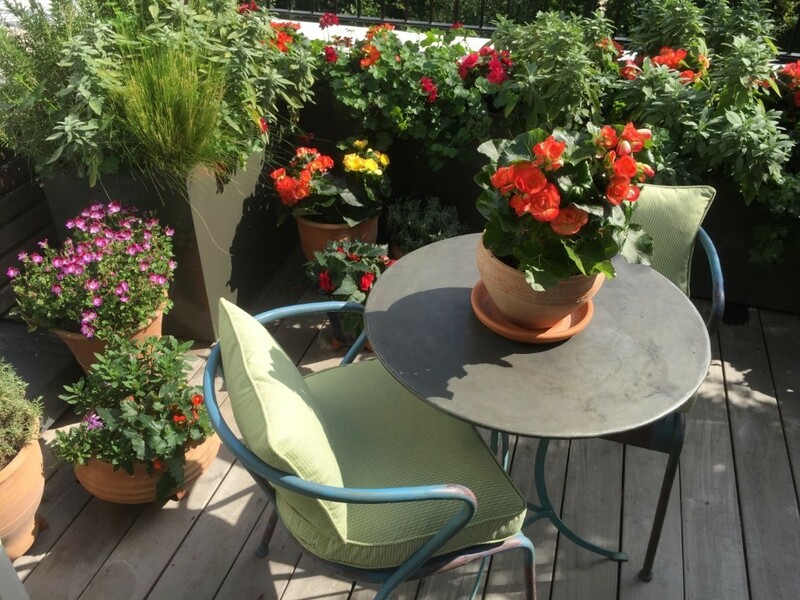 With a Roof Terrace overlooking Kensington Palace Gardens, our client wanted an unusual, bohemian design with jewel coloured planting that she could relax in with friends. 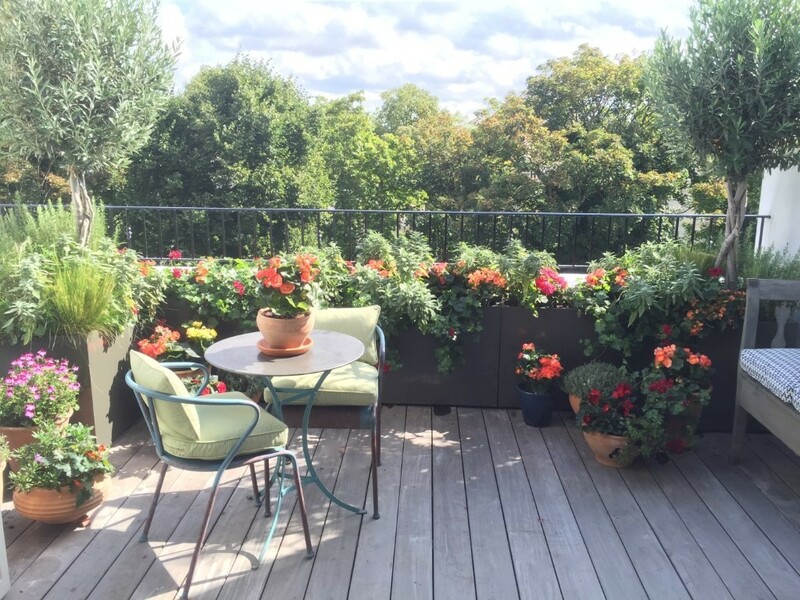 As the terrace was seen through large floor to ceiling glass doors, it also needed to look stunning when viewed from inside the house. 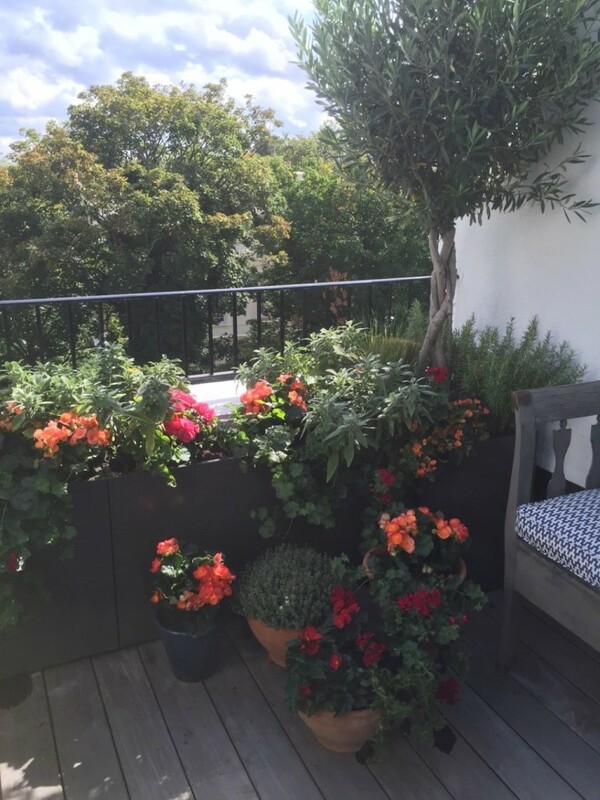 With limited space, every plant selected had to look stunning and contribute to the relaxed and eclectic feel the client wanted. 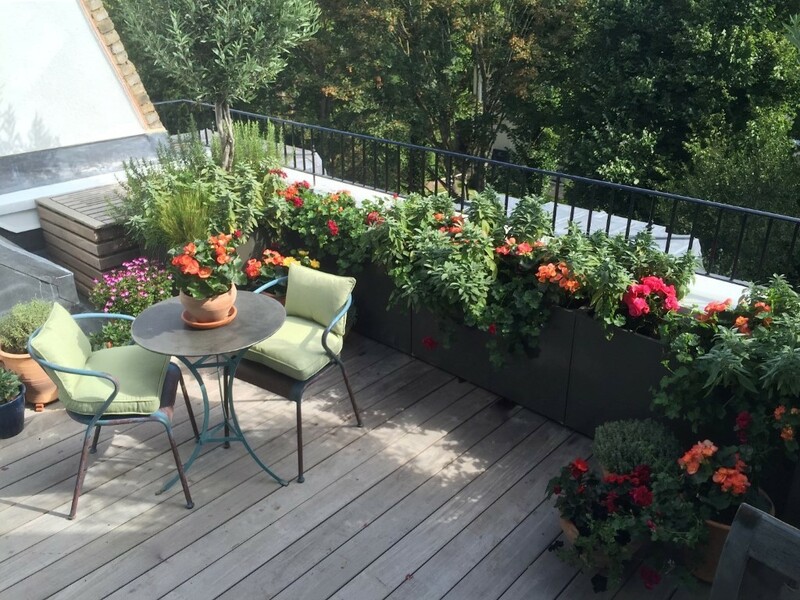 We mixed seasonal plants with a hot colour pallet of dark red, oranges and splashes of yellow and purple which contrasted with trailing black-flowers of Suffinia and aromatic Sage. 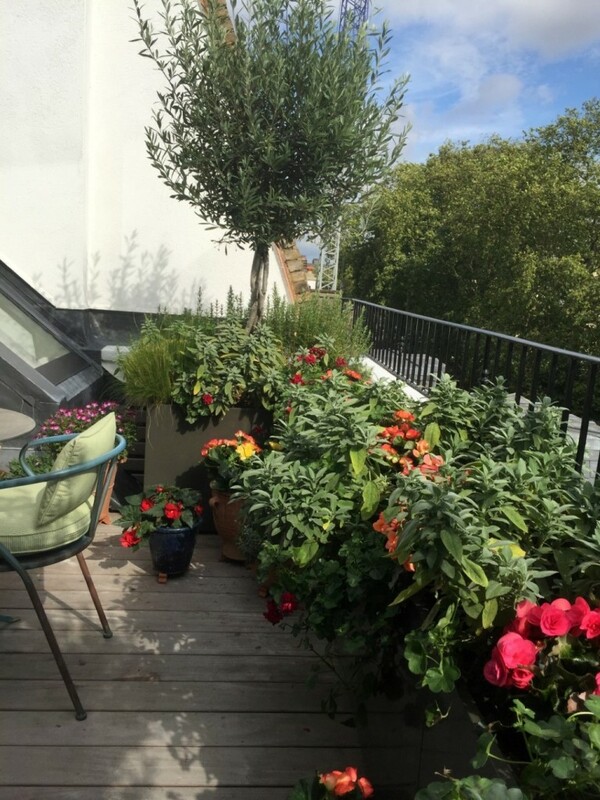 Bespoke powder-coated steel planters with an irrigation system ensured the plants would thrive and require little maintenance.